Deana Ellis is responsible for all site acquisition, project entitlements and land development for Cresleigh Homes in Northern California. A key member of the land development team, Deana has extensive experience in mixed use development, master plan communities, project entitlements at the Federal, State and local level, as well as experience in often challenging infill projects. 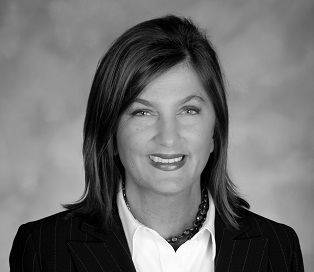 Prior to joining Cresleigh, Deana worked in commercial real estate development for Albertsons, developing new store locations, remodels and acquisitions in California, the Pacific Northwest and the southern United States. Deana has significant experience in development of mixed projects in California including involvement in a number of complicated projects while at Albertsons, such as the 32nd and Clement and Fulton and Masonic projects in San Francisco, which are large urban mixed-use projects with full grocery stores and accompanying residential uses. Deana is devoted to, and has a strong advocacy and track record for, urban and infill development that revitalizes communities with a focus on pedestrian, transit and bike centered communities. Deana, a graduate of Boise State University, serves on the Policy and Planning board of the Sacramento chapter of the Urban Land Institute and is a board member of the North State Building Industry Association where she utilizes her experience and enthusiasm to press for thoughtful discussion and policy adoption that promotes the principle of mixed use, compact development to revitalize the Sacramento region.